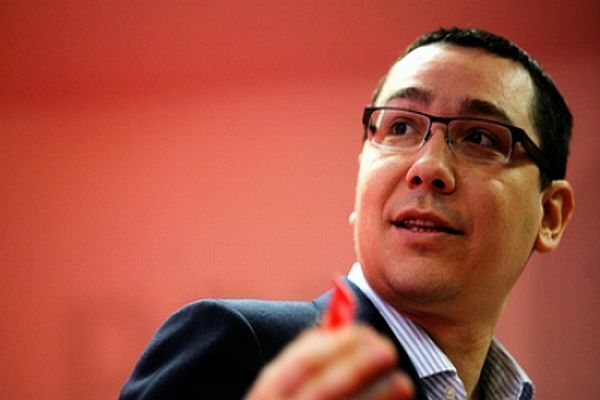 Victor Ponta, accused of spurring defections among the opposition. Romania's Constitutional Court is under "shocking" political pressure ahead of its ruling on the validity of a referendum to impeach the president and has appealed to the Council of Europe for protection, a council official said on Tuesday (7 August). Prime Minister Victor Ponta's leftist Social Liberal Union (USL) is trying to oust suspended President Traian Basescu. Ponta accuses Basescu of abusing his position to block government legislation, but the European Union has regarded some of the government's moves as undermining democracy. The row has stalled policymaking in Romania, delayed vital economic reforms and raised concerns over the Balkan state's International Monetary Fund-led aid deal. An impeachment referendum held on 29 July yielded an 88% majority in favour of removing the centre-right Basescu, but the turnout did not reach the 50% threshold required by the Constitutional Court. The Court was expected to invalidate the plebiscite but has put off its ruling until 31 August, and asked to see voter lists to assess the true size of the electorate after USL officials asserted that the actual number of voters was much smaller. On Tuesday, the president of the Venice Commission – the Council of Europe's advisory body on constitutional matters – said in a statement that the court had asked his panel for help to protect its independence from political pressure. "It is for me surprising, and even shocking, that for the second time in a short period of time the constitutional court of a member state of the Council of Europe and the European Union feels obliged to appeal to the Venice Commission in order to protect its independence," Gianni Buquicchio said. He did not say how his commission would respond. Romanian government officials have not commented. They responded to previous EU complaints by saying the court is independent and they would abide by its rulings. But before the 29 July vote, Ponta's government sought to trim the high court's powers and threatened to replace judges – before concerted pressure from the European Commission, the United States and Germany forced it to back down. The updated electoral list could potentially show a lower number of registered voters than thought and push turnout above 50%, but most analysts doubt this will happen. Basescu has lost popularity over his support of austerity policies required to restore confidence under an IMF aid package, and over perceptions that he has engaged in cronyism. Ponta called on Basescu to resign after the referendum, citing the 88% vote against him. The president replied that there was a majority of voters who did not want him removed from office and he has refused to step down. The dispute in the corruption-tinged former communist state, which was admitted to the EU in 2007, has sunk the leu currency to record lows and, says the IMF, could further damage the recession-ridden economy. "We are a little bit worried about the situation and also the impact the political situation has on the economy," IMF mission chief Erik de Vrijer told interim President Crin Antonescu, a Ponta ally. “This benchmarking and the idea of preparing roadmaps for underperforming countries are an important step towards eliminating the unnecessary landfilling of waste in Europe. “In the case of plastics, the European economy is currently losing up to €8 billion in potential value by failure to divert plastics waste from landfills. “This is why the industry is working with authorities and other stakeholders across Europe to achieve a goal of “zero plastics to landfill by 2020”. – first, it seems that Romania has been relocated to the status of a ‘Balkan state’. It’s the first time I read this in quite a long time. No longer an EU state in the journalist discourse – but belonging to that dreadful little place… Not very wise or correct. The power of words can be very strong and journalists should not abuse it. – secondly, EU officials’ insistence on the need for a referendum quorum has led Romania into this situation. The Venice Commission’s Code of Conduct on referendum explains too well why a quorum is not advisable on referendums. – thirdly, as Romanian politicians must exercise restraint, calm and openness in dialogue, so should the “EU” public voice (journalists, officials, politicians). Nobody needs one more crisis in Europe. I am so sorry that Europe is letting us down: so many European “democratic” institutions and personalities do not observe the events in Romania and do not see what is happening. Every day the suspended president and his camarilla is making serious pressure and unbelievable threats to the Constitutional Court and to other institutions and to their representatives, and now quite to ordinary people that express their oppinoins – acting upon them by means of prosecutors he put in their positions and they are obeying blindly his orders. The current government is continuously obstructed by that gang of thieves and we are looking how the important things are not approached because of the boycott of that gang of former rulers from the previous regime. Please, help us and please, DO understand the nowadays Romanian realities in a reasonable way. I was deeply convinced that EU is committed in democracy and human rights but I see clear now that it is only about individualistic interests of wealthy persons and states against the poorer ones, as far as the pressure upon us is made by EU “tools” when sustaining that odious person. GOD helps us, because it seems that our belief in Europe is a chimera. the correct thing to do for ponta and crin antonescu is to leave basescu as president till the end of his term. after that, the elections will decide who gets the power. i think the eu has the right to criticize because that’s the game of being in a political union. The referendum is clear and it says something else than Octav’s oppinion. It is not Ponta and Antonescu who act but PEOPLE! They and the parliament are peoples’ majority representatives. Hence, it is for sure that the former regime is an oppressive regime that continues to act against any democratic mechanisms. @Viorel – I think nobody is very concerned about Basescu leaving or staying in power per se. It’s all about the means that were used to expedite his leaving the office, suggesting that the coalition seeking to oust him has absolutely no respect for the rule of law. To me this manner of government suggest incompetence above everything else. No matter the political aims, when you plunge your country into such political turmoil simply to have the president leave office right away instead of in 1 year (when his last mandate expires) shows a serious lack of political ability. At this point Basescu enjoys low popularity, but the degree to which Mr. Ponta and Antonescu have destroyed their own credibility could end up making him more popular.